Subscribers of Amazon surely get mildly annoyed when they receive reminders of new releases, purportedly to motivate purchase decisions. I am not spared. But I admit that shopping for titles that way has been a pleasant and secured experience. I have been purchasing the books of the featured author in this post through this route -- only because these are not available at local book sellers. Could that be due to the absence of a market or the simple lack of awareness by book agents but I hope not a reflection of dangerous conservatism. My acquaintance with this writer began years ago as I was rummaging through a second-hand book store. Then my attention was caught by the title and thought that it was a book on food/cooking prompting me to read the teaser on the back cover. 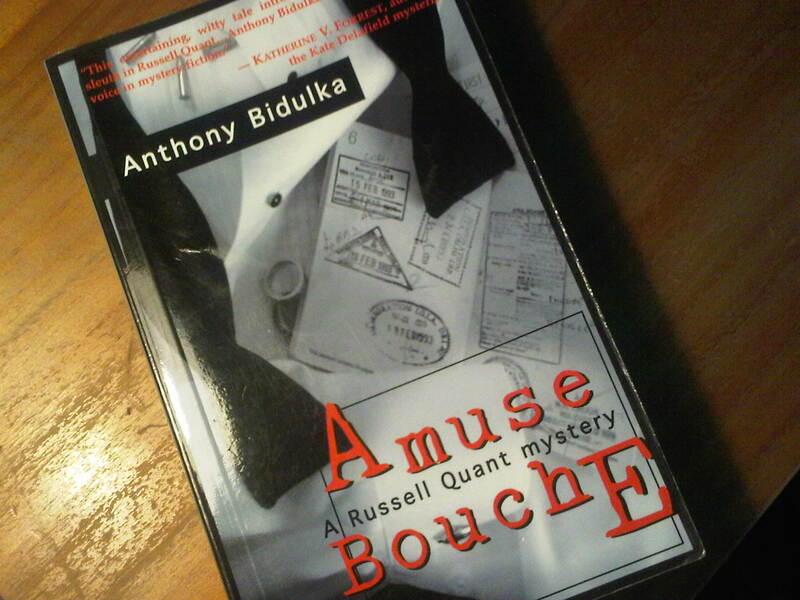 Anthony Bidulka has since written to my knowledge at least five other books around the same genre taking the reader to oftentimes popular but sometimes esoteric destinations. True, at some point one gets the sense of the author's writing style and then boredom sets in. But that has happened with me in most of the authors I have been following. I am a sucker for the thriller; thus a big fan of David Baldacci. Never missed any of his books that I could build a library in his honor. I did not part with his latest book -- Deliver Us From Evil -- until I was done with it. It was the same experience I've had with a couple of his other books but could not say the same with others. This is the same observation I have about Grisham and might be the reason why he sometimes departs from law/courtroom drama for heartwarming plots. When in the university, I read Robin Cook who specializes in medical thrillers but have since left him as the language and the narrative echoed from novel to novel. We all need to be refreshed at some point in our choice of literature. However if there's an element that I have not given up in my choices it is the thriller to the extent that I sometimes have been disappointed with some authors. We also know that they may have ghost writers which could be gleaned from the changing styles from one book to another. This, I have noticed in Steve Martini's. Therefore to all dear readers of this post, I am willing to give away one book of any one of the following (your choice): Bidulka, Baldacci, Martini. My way of sharing (again). Only to the first one who responds and is from the Philippines. Just let me know where to send. You have Amazon? Are you based in the US? I am now in Manila. Amazon's deliveries are pretty accurate. Cheers.